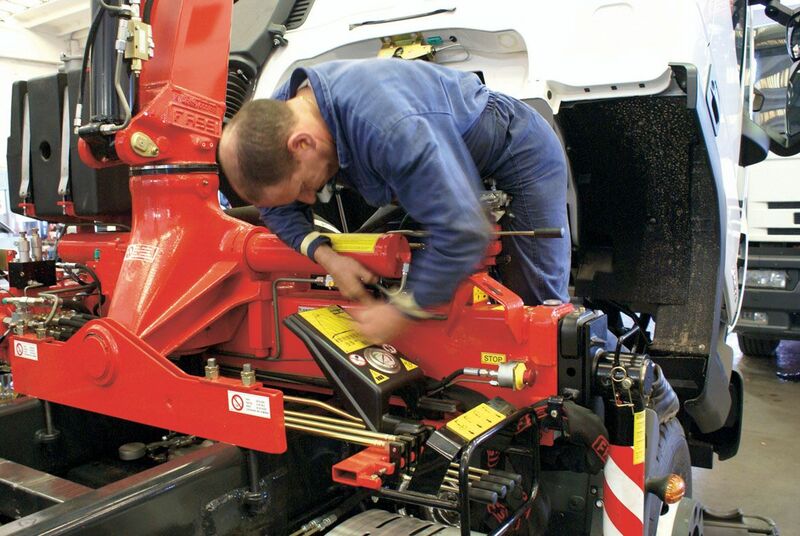 When you purchase a complete crane vehicle from Mac’s Trucks, FASSI UK’s national support network is at your service. FASSI UK’s 20 authorised service points form a comprehensive national network, providing local support wherever you are in the United Kingdom. All their service points are equipped with the FASSI diagnostic laptop & are members of the Association of Lorry Loader Manufacturers & Importers (ALLMI). They are at your service for everything from LOLER PUWER inspection & test, service maintenance, repairs, warranty work & spare parts sales. The FASSI UK telephone helpdesk offers a single point of contact for all assistance. Every call is logged onto their Support-Desk computer system, assigned to a service point and managed through to successful conclusion by their knowledgeable team. Out of hours (0700-2300 Mon-Sun) they offer an emergency call back service to assist you to stow the crane away for transfer to a service point. Through their Training Academy, FASSI UK’s field based Product Support Engineer continually develops the skills of the service engineers. A structured training & coaching programme leads to Bronze, Silver & Gold skills accreditation. Nationally, there are 85 engineers enrolled in the FASSI training academy.